Emeline Fay Ezzell was born July 22nd and is the most perfect little human to enter this world since her sister. I adore these girls and their daddy more than life. They’re growing at a ridiculous pace, which I don’t entirely appreciate. Emeline is already smiling, trying to sit up, trying to STAND up, and much more, at only seven weeks old. Nora was a little model for a day. 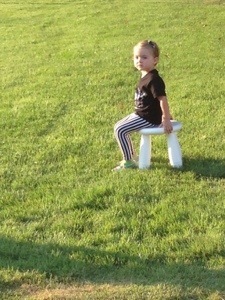 These are a couple pics my mom snapped while she was in a photoshoot for Raine + Monet, an awesome t-shirt line designed by a couple ladies out of OKC that I ran into on Instagram. She did so well, I was so proud of the way she handled herself. 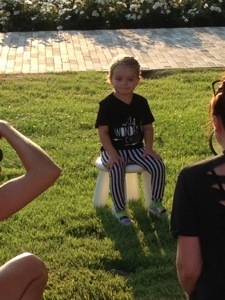 Emeline was part of the photoshoot as well, but I somehow made it out without any photographic proof… Mamarazzi fail. Just trust that she was seriously adorable. Now let’s talk about the horrible for a moment. My brother died. Saying that still feels so surreal. 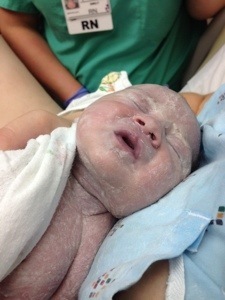 The first day he was in the hospital, I came home to feed the baby and nap and woke up convinced I had dreamed it… Until I saw the remainder of the bottle of coke daddy bought me from the waiting room vending machine. I just miss him. Part of me is gone forever. I don’t know that I ever want to stop feeling this way, for the rawness of the loss to be gone. I guess my hope is just that someday my first thought of him will be the hours we spent listening to music and talking, or the period of time when he was about six or seven years old and tried to rename everything “Spike,” including but not limited to his cat, his favorite stuffed lion, himself, and our sister, or the last time I saw him before the hospital and everything was so horribly wrong… He hugged me and told me he loved me and I told him I loved him too. I never want to forget that moment. I wish I could record that memory somehow and relive it, instead of the time spent in the hospital or preparing for his funeral (which is still up here, though I haven’t been able to bring myself to watch it), or any of the rest of the times that feel somehow both so full of love and support of family and friends but so desperately empty at the same time. I have a lot more to say, and someday I’ll get around to saying it. One of the most infuriating parts of the whole hospital thing was learning how anti-donation Oklahoma is- apparently notoriously so, according to the Lifeshare representative. That’s a topic for another time, though. Back to my kids! 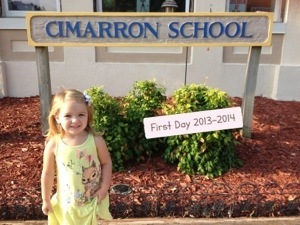 Nora is in Montessori school and absolutely flourishing. I’m so proud of her. Also, the fact that I now have two children still really takes me by surprise half the time. They are so very different already in looks and personality. Time will tell, but for now, Nora is very fair in her hair, eyes, and complexion and Emeline is very much the opposite. When Eme was born, Cheri (my mother-in-law) said, “well, now you have your Snow White and Rose Red.” I loved that story growing up. 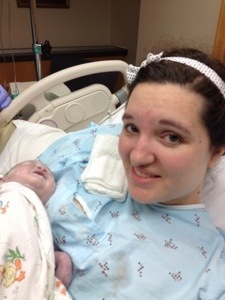 The moment Emeline was born, I felt complete. I wasn’t entirely convinced she was real until I held her in my arms. 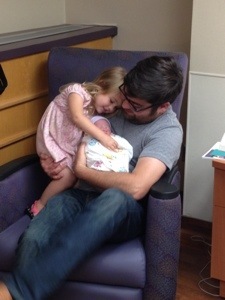 Honestly, I’m still not really 100% that Nora is real and the husBen and I get to keep her and be her parents forever. I am so grateful for my little family. I am also incredibly grateful for my extended family. Not many people would have all his or her aunts, uncles, cousins, and grandparents surrounding when crisis hit. I am still blown away by that, yet not surprised at all at the same time. Beyond that, the support from our friends, the family we choose, has been so overwhelming, I don’t even know where to start with my thanks. My cup overfloweth.